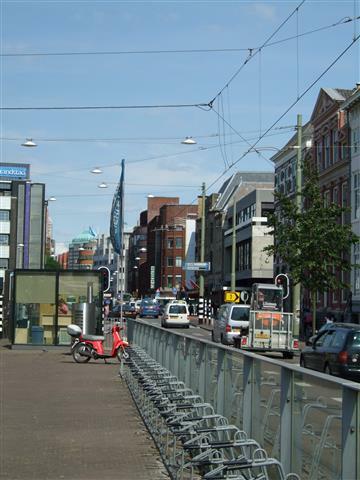 The Den Haag Gemeentearchief (the Hague City Council Archive) set up large billboards round the city of The Hague around seven years ago as part of their celebration of their 125th Anniversary. Each of these billboards depicted photographic scenes of the city within that same 125 year time span. They had for a time, a website featuring all of the billboard photographs, plus their locations but for some reason the site disappeared after a while. Luckily Himself and I happened to see it before the information was removed and in a spur of the moment fit of “history-fix” decided to visit some of the billboard locations, which in turn became a challenge to try and visit them all. With some eighty billboard locations to visit and time running out before they were removed, most of our data collection consisted of me dashing out from the passenger seat of the car, camera in hand whilst Himself found parking spots or when traffic was high and none available, driving round and round the block until I’d collected all of the photographs we needed. Instinctively while at the locations I took photographs of the present day surroundings as well as the billboard pictures, something I found out later that the City Council Achieve had neglected to do. 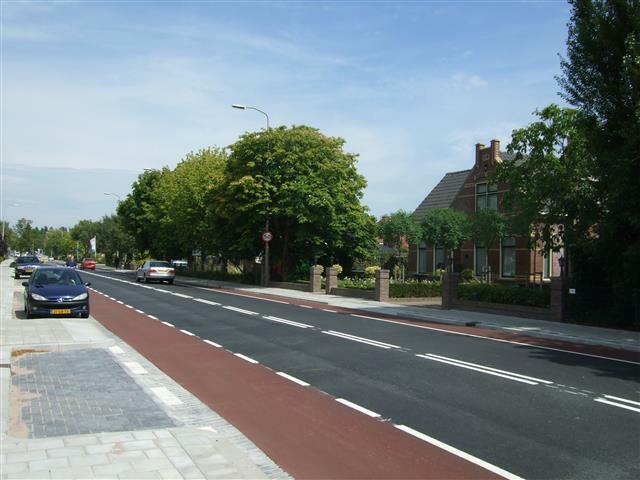 With my “before” and “after” photos I set about slotting this series into my blog… it’s a wonderful slice of local history in The Hague and both Himself and I are delighted that we did it. 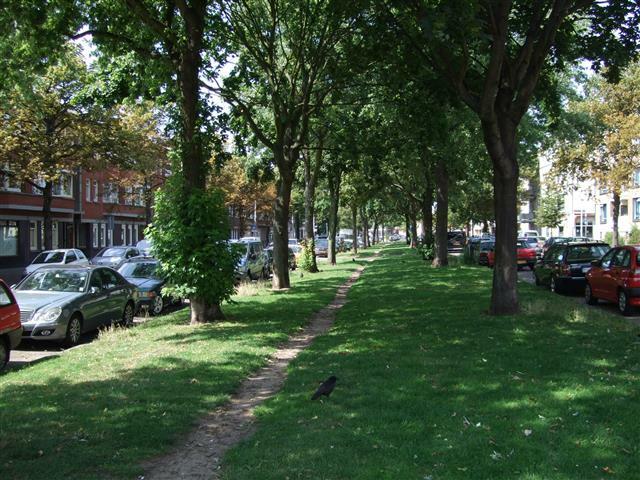 which is slowly with the help of regeneration projects turning both the area and it’s reputation around. Specifically the Newton Plein had an especially bad reputation with a friend recalling that (in the 1990’s) he went to visit a friend who lived on the Newton Plein, they both stepped out of the front door in order to smoke cigarettes and were in time to see a large gang of young men wander past, aimlessly keying and denting parked cars before randomly selecting one and torching it. 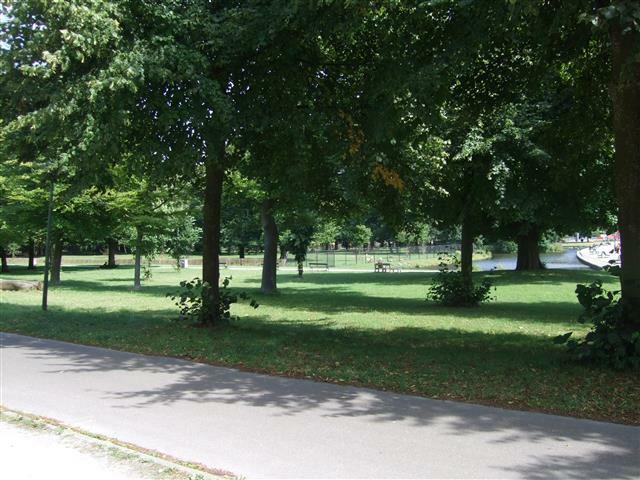 Both he and his friend were rather drunk, and severely outnumbered so the stood staring in disbelief until his friend told him that this behaviour wasn’t unusual, just that usually the gangs stuck to minor damage! Fortunately this has gone from being a severely deprived area and is on the up. 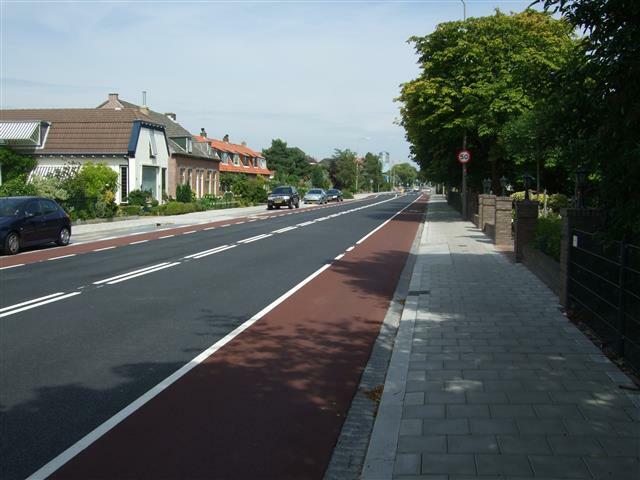 The neighbourhood now houses a large number of young families and home ownership has steeply increased, but most of all the socio-economic demographic has changed so the Newton Plein’s reputation is slowly being repaired. The text on the billboard reads: “Newtonplein onthulling van het standbeeld van Descartes op 17 april 1914″ which translates into English as: “Newtonplein: Official unveiling of the Descartes statue on 17 april 1914”. 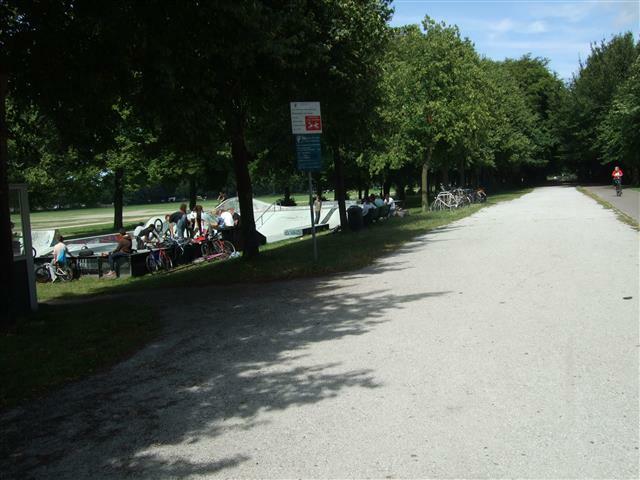 The Plein today has a new playground in it, with not just little kid thing like swings and slides but also a basketball court /football area (with tall wire fence to stop the ball from going on the road etc)… lots to keep kids of all ages occupied. 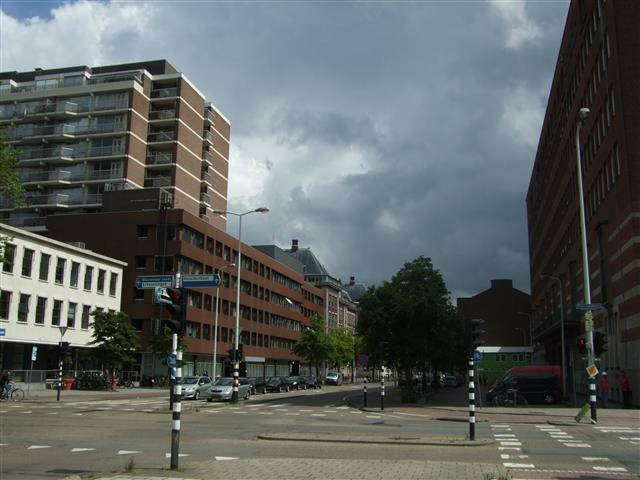 During Second World War bombing occurred around some areas of the Hague and these places and some surrounding areas were hard hit. My father remembers the war as a young child, with some memories making such an impression it is as if the events took place yesterday. He remembers that when several areas of town took bombardment he would cycle with one of his older sisters to the area to see if anyone the family knew there was hurt or dead or needed help. I was a teenager when I first asked him about his experiences of the war and in all honesty, in remote New Zealand where buildings stood unscarred by war the fact that whole streets were levelled was rather hard to imagine. I was especially shocked by the discovery of the photograph on this billboard, my first thought being that it could have been the street that my father grew up in, and that this is probably one of the sights that he saw first hand. Roughly seven years ago the Den Haag Gemeentearchief (the Hague City Council Archive) in celebration of their 125th Anniversary, placed large billboards around the city of the Hague that depicted photographic scenes of the city within that same 125 year time span. 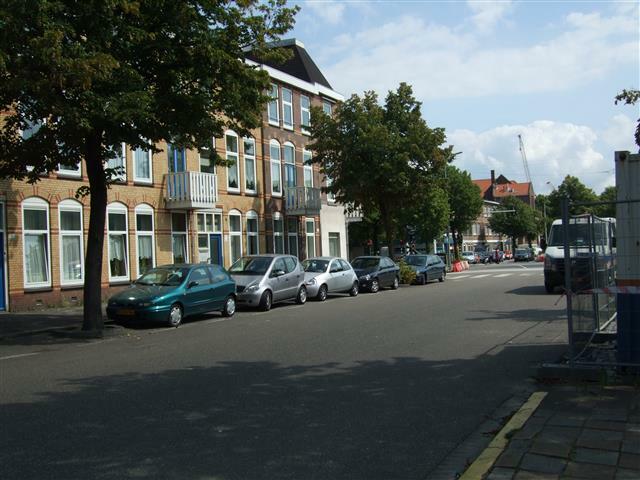 This one comes with the caption: “Schenkkade hoek 2e Adelheidstraat kort na het bombardement op het Bezuidenhout van 3 maart 1945″ which translates into English as ” Schenkkade corner of the second Adelheidstraat shortly after the bombardment of the (Bezuidenhout neighbourhood) of 3 March 1945″. 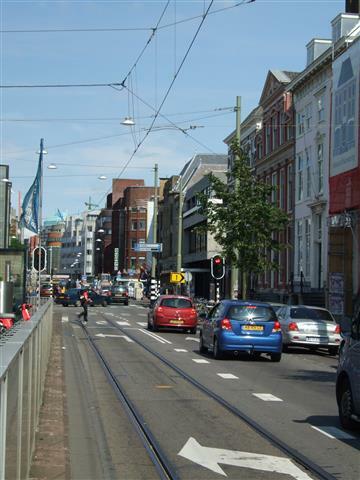 Long gone are the small rows of houses and corner businesses, these days the area has been transformed with high rise buildings, the elevated tram line that exits Central Station and large offices. I only realised when cleaning out and preparing some of my photo files, that yesterday’s post should actually have been one of a pair. Therefore I am slotting this post in earlier than planned and you get to have two historical billboard posts together. Most of the large billboards posted around the city were single sided, but a small handful were double sided and had different photographs, taken in the same spot (although not necessarily in the same year) either side of the large concrete and metal frames they were set in. This is one of the few “double sided” sets of billboards and in a way the “now” photographs of the present day belong to both of these blog posts. 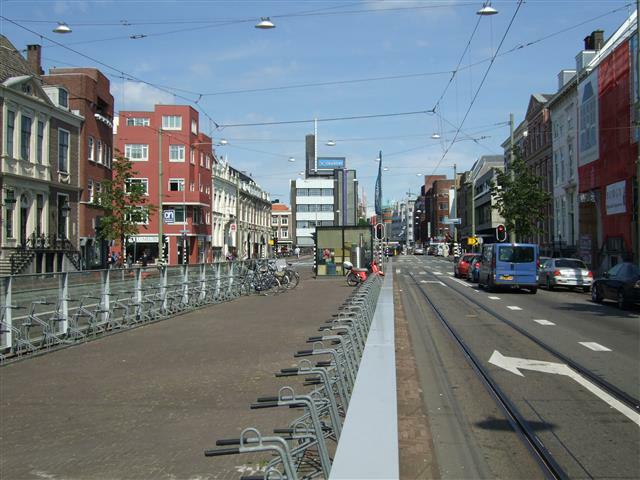 As I mentioned in yesterday’s post “Leidsestraatweg: Where Is A Dutch Cyclist When You Need One?” the Gemeente Den Haag (The Hague City Council) placed large billboards around the city over five years ago as part of the celebration of one hundred years anniversary of the Gemeente archive department. Because there were just over eighty of these billboards it is of course taking me a while to slot them in as blog posts, since I assumed you didn’t really want to read eighty-four of these posts one after another. 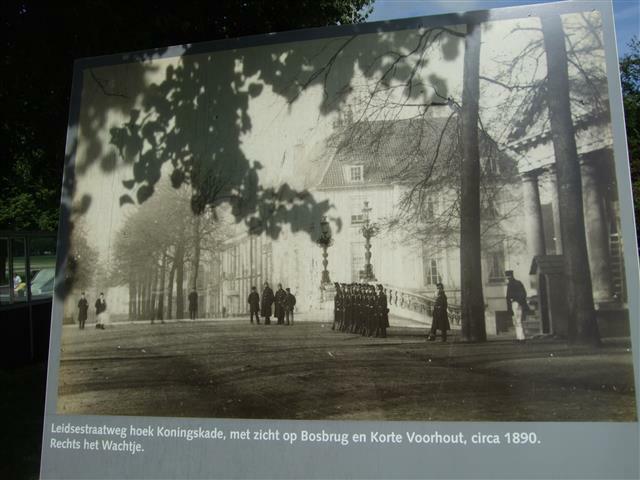 The caption on this billboard reads: “Leidsestraatweg hoek Koningskade, met zicht op Bosbrug en Korte Voorhout, circa 1890. 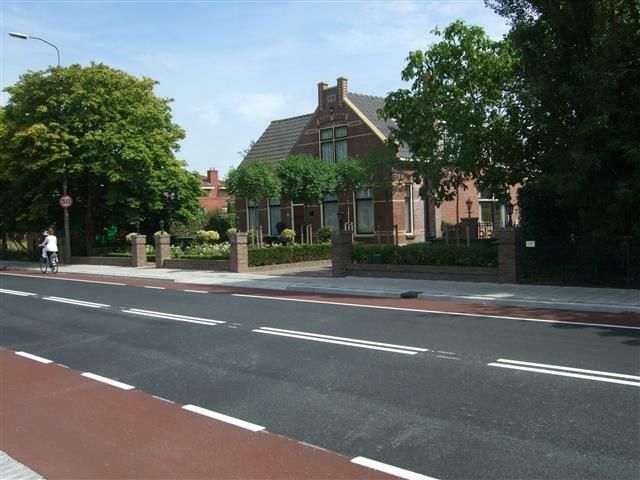 Rechts het wachtje” which translates as “Leidsestraatweg corner Koningskade, with view of Bos bridge en Korte Voorhout, approximately 1890. To the right the sentry box”. Sadly as you can see from yesterday’s post, the large columned building behind the tiny sentry box is long gone, as are too the beautiful large buildings. I did look on Google street view and found a semi-similar building that had a partial match as far as the roof line, age and general structure but the building on street view can’t possibly the same one as in the picture because the bridge is totally in the wrong place and it’s getting just too far out of the range of the billboard photograph. Today’s post is another one of my “billboard series”, where I have been documenting the large billboards that Gemeente Den Haag (The Hague City Council) placed around the city over five years ago as part of their celebration of one hundred years anniversary of the Gemeente archive department. Since then I have been slowly (where possible) researching the places seen and putting together the “then” photographs of the boards, with the “now” photographs that I look at the time. 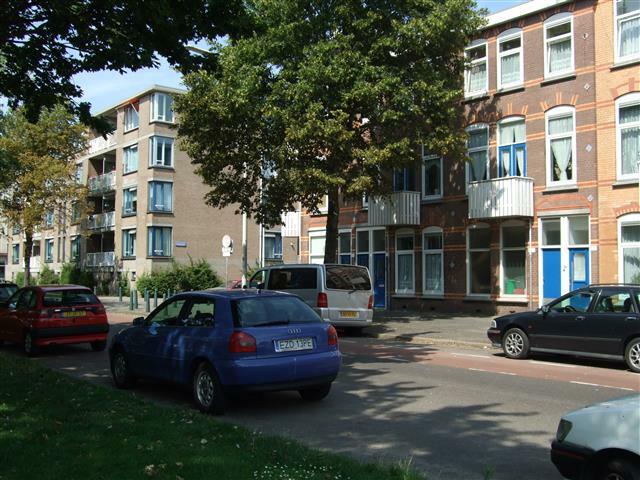 I looked up the street names and the Ieplaan survives but the other two streets no longer exist… they were lost completely after the end of the Ieplaan near what is now the Segbroeklaan had several rows of houses demolished to make way for a tank trap as part of the Atlantic Wall defences. The lost houses are the grey block of buildings in the distance at the end of the road in the billboard photograph. The tank trap was a levelled area with pits that flooded, meant to be a barrier to tanks and other vehicles during the war. Apparently this area was bombed during the war and so some rows of houses were casualties too, and others, that lost their windows in the explosions were soon stripped of their doors for firewood since one of the winters during the war was one of the coldest on record. The tank trap is long gone, today it’s a large park with playground, a steam running though it and ponds that freeze over in winter, and where my children have skated some winters in the past. 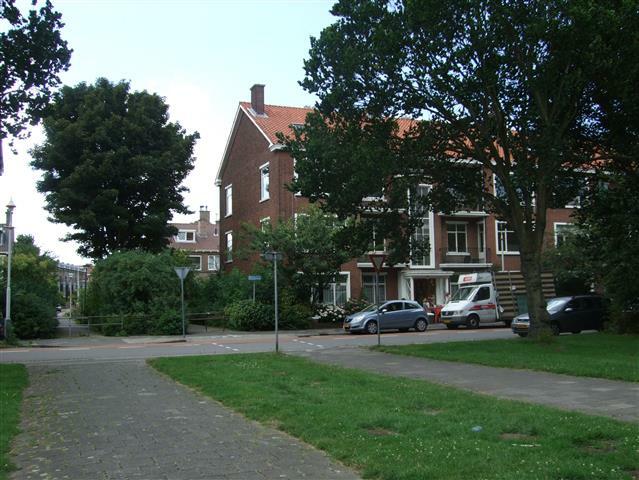 Further to the left of where this photograph was taken, the former tank trap and park area gives way to a large space where the Red Cross Hospital and the former Juliana Kinderziekenhuis (Children’s Hospital) are located. 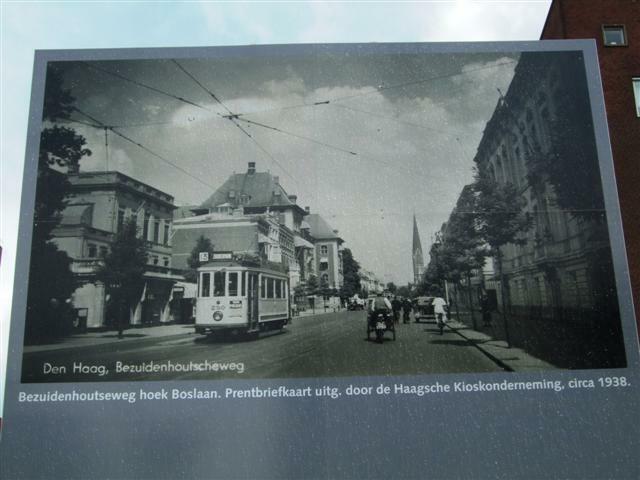 In the top right corner of the billboard photo, there stands today the newly established European School of The Hague. These days it’s green and unrecognisable, both people and nature have bounced back and where the destroyed houses were on the left of the billboard photo were there now stands a series of flats / apartment buildings. Everywhere else though, the original houses remain, they date from the late 1890’s to the 1940’s so it’s a contrast between pre and post war. 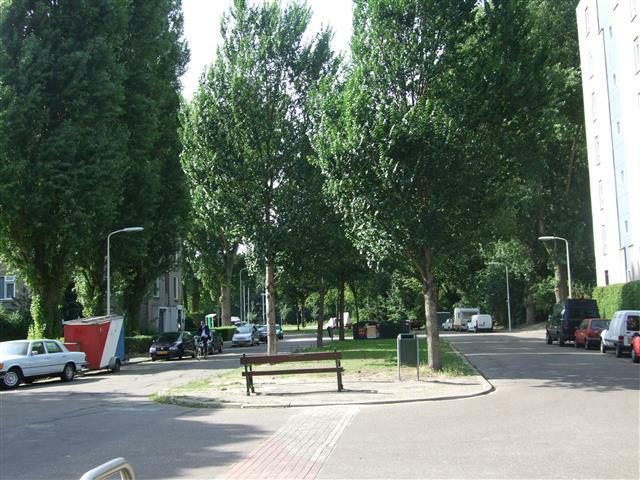 The trees have grown big and beautiful, in the “now” photograph you can just catch a glimpse of the park at the end of the street. Today’s post is another billboard from a series that the Gemeente Den Haag (The Hague City Council) placed around the city as part of their celebration of one hundred years anniversary of the Gemeente archive department. 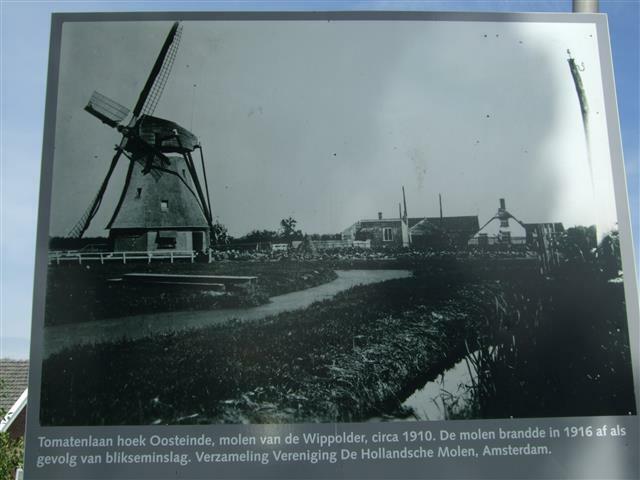 This one is situated on the outer edge of the Hague, so as might be expected the “before” photograph taken in 1916 is very rural. These days it’s a new-ish subdivision where the modern houses have been built around a few of the older homes and farms in the area. 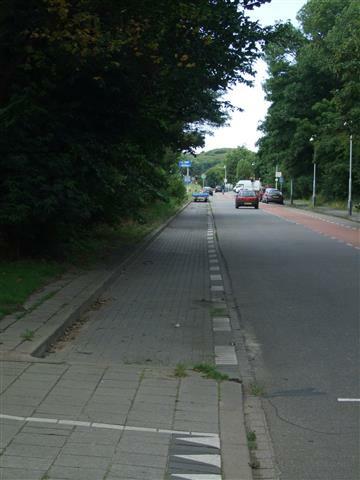 The gemeente website section that featured the billboards (which has since been removed for some reason) only had images of the photographs on the billboards but not of the present day. Himself and I decided to visit each billboard and capture the present day views, this is therefore the “old” and “new” alongside one another so that you can see how much, or how little things have changed. 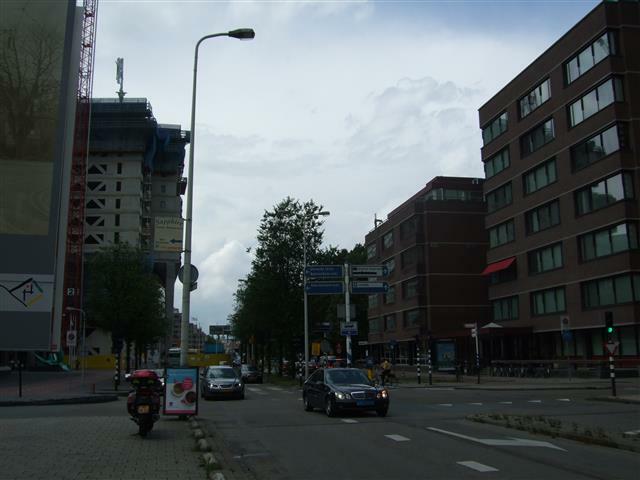 This post is about not one but two of the Hague’s historical billboards that I’ve been documenting as a series on this blog. 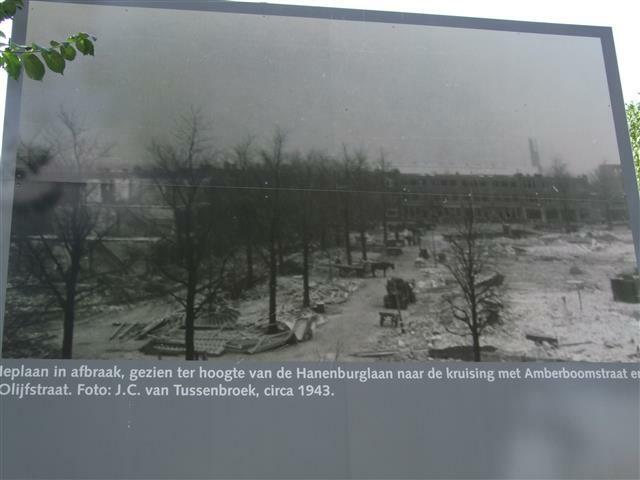 It’s been more than five years since the Gemeente Den Haag (The Hague City Council) placed billboards around the city as part of the celebration of the one hundred years anniversary of the Gemeente archive department. 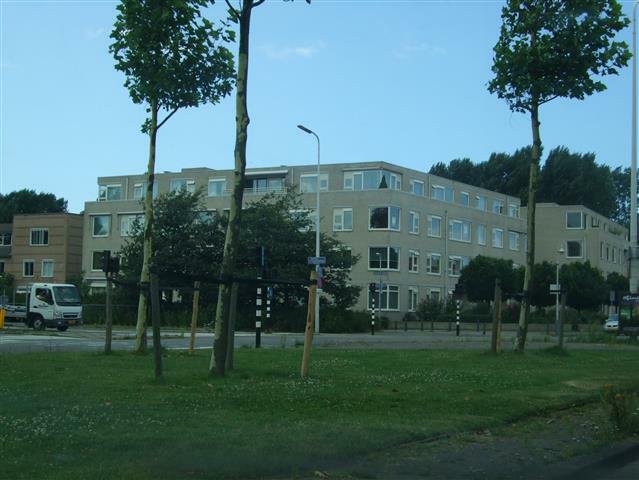 Himself and I saw several billboards fairly close to our home and took up the challenge to find and photograph all of the ones on the Gemeente’s website list. (I’d give a link but for some reason the site was removed a short while after the billboard “exhibition” around the city ended. One deficiency on the website we noted was that there was a list of all of the billboards and their locations but no one had added photographs of any views “as they are in the present day” and this is one of the main reasons I’m posting my “Then” and “Now” photographs here. I’m bit of a secret history buff and I’m really fascinated by the changes that have come about as the decades and centuries of people living in a city have made the cityscape evolve. Both billboards have the same caption and if they follow the way that all of the other billboards have been arranged, then the view as you face the billboard is the same as the present day view beyond it. 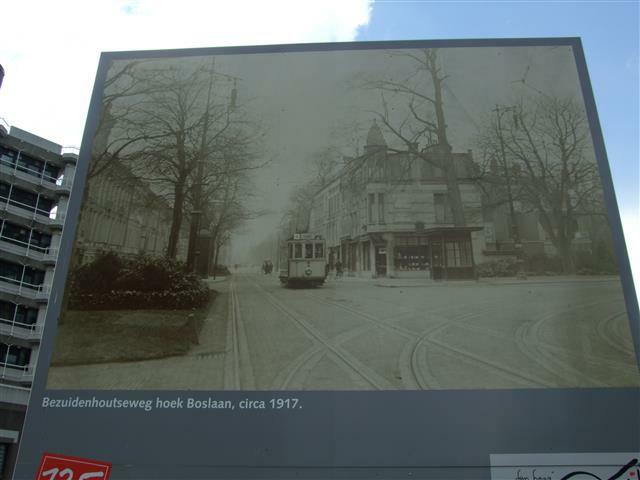 The caption on the first photograph says “Bezuidenhoutsweg hoek Boslaan circa 1917” (Bezuidenhoutsweg corner of Boslaan around 1917). 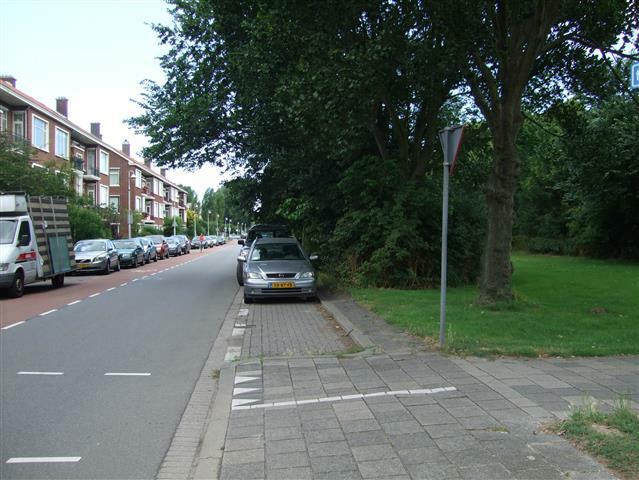 The second photograph is captioned “Bezuidenhoutsweg hoek Boslaan Prentbriefkaart uitg. door de Haagse Kioskonderneming, circa 1938”. This translates as “Bezuidenhoutsweg corner of Boslaan Prentbriefkaart issued/ published by the Hague Kiosk company, around 1938. 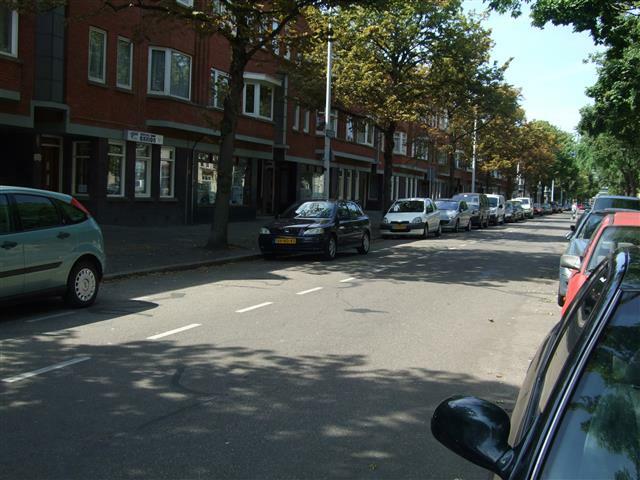 One takes in the view of the street to the left of the Boslaan corner and the other to the right. In both instances the present day vista is so vastly differently from the historic photograph that if it were not for the presence of a few of the historic buildings you would have no idea that you were in the same place. In the left view there are no buildings at all remaining and to the right there are only a few recognisable buildings from the 1938 view. Before we take a look at most of the photographs I have two new Dutch words and a small pronounciation lesson for you. “onderneming = commercial enterprise /company” , “uitgegeven = published / spent /released / issued” and “Bezuidenhoutsweg’ is pronounced “buh zow den howt weegh” and “Boslaan” is pronounced “boss laahn”. The Dutch are well known for having one of the biggest flower industries in the world. Their bulbs, blooms and plants are exported world-wide and many a bunch of cut flowers sitting on a vase on global household tables, or bulbs popping through the soils of a spring garden had their origins in one of the acres of glass houses or kilometres of bulb fields here in The Netherlands. 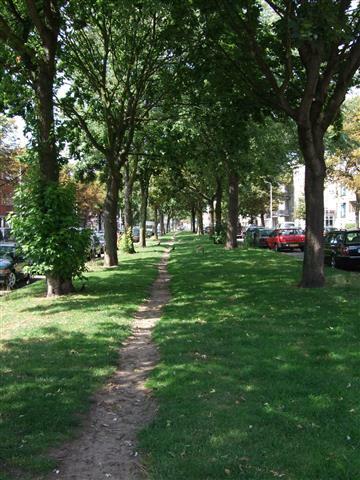 It should therefore not come as too much of a surprise that flowers feature heavily in day to day Dutch life as well. It’s usual to have fresh flowers at home, compared to many other parts of the world they are cheap, there are more varieties of flowers than you knew existed and flower shops are abundant everywhere. Commercial flower markets these days take place in massive hanger like buildings on an industrial scale, which is a new development of the last century, but the idea of the flower market is anything but new. 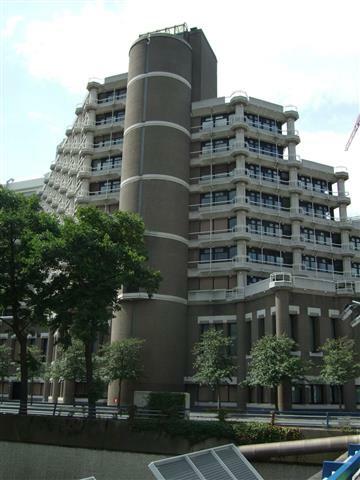 The Hague differs greatly in character to Amsterdam… the city grew quickly as a centre of Government, the Parliament, Embassies and many Government ministries are here and the shift away from a more industrial livelihood towards more bureaucratic one had an influence on the physical landscape as well as the political one. 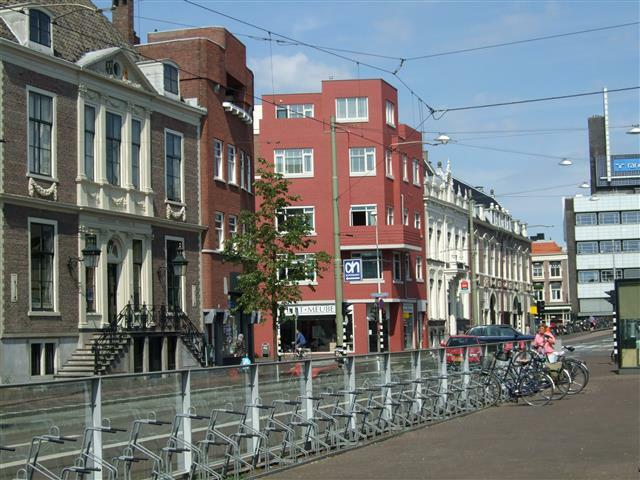 The word “gracht” or “kade” in a Dutch street name is a word used to denote a road on a waterway and The Hague is fairly unique in that it still retains some streets that are labelled as “grachts” or “kades”even though the water has been long since drained and the canals mentioned have been filled in. A few of these streets had their name changed to remove the water reference (e.g. 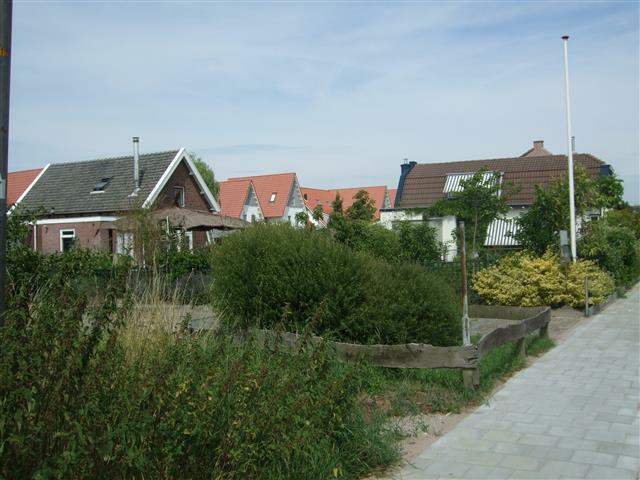 “de la Reykade” became the “de la Reyweg”) but in the central city many of the old names remain, even if the canals have not. One such road is the “Prinsegracht” in the centre of town… and we learn more from the billboards that the Gemeente Den Haag (The Hague City Council) placed around the city some years ago as part of the celebration of the one hundred years anniversary of the Gemeente archive department. 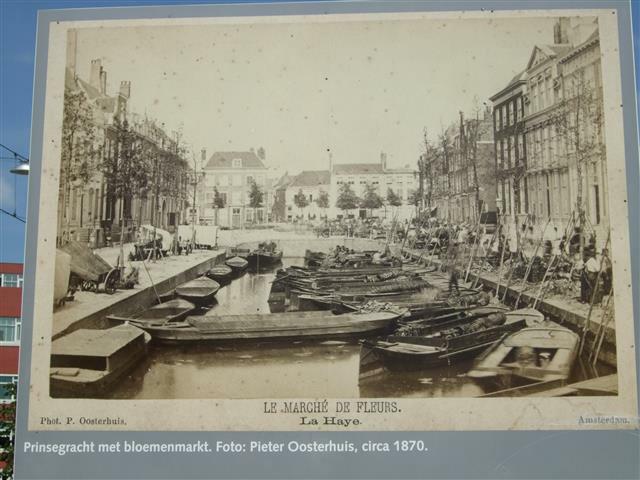 What we discovered is that Prinsegracht used to the the location of the Hague’s central flower market. The merchandise would be bought into the city by boat, the canals were the best and quickest transport system, business would take place on the quayside and traders could easily move in and out of the city centres. Later though as the city grew, more space was needed but the market had no room for expansion. At the same time the city was developing away from agricultural pursuits so the inner city canal markets moved out towards the city limits and many of the canals were filled in. 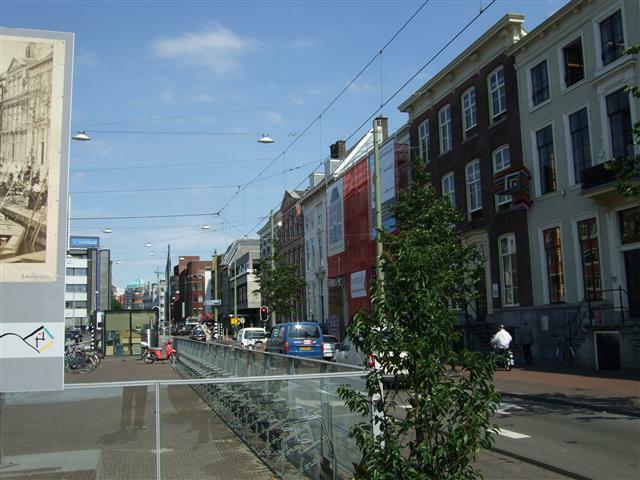 Today the Prinsegracht is a roadway on each side with a large underground tram tunnel down the centre. In an ironic twist of fate however, when the tram tunnel was first built it was plagued by flooding, so the opening of the tunnel and new tram system was substantially delayed. Clearly the water just couldn’t stay away. Gemeente Den Haag (The Hague City Council) placed large photographic billboards around the city some years ago and they became a project for Himself and I as we set about trying to take photographs of them all. 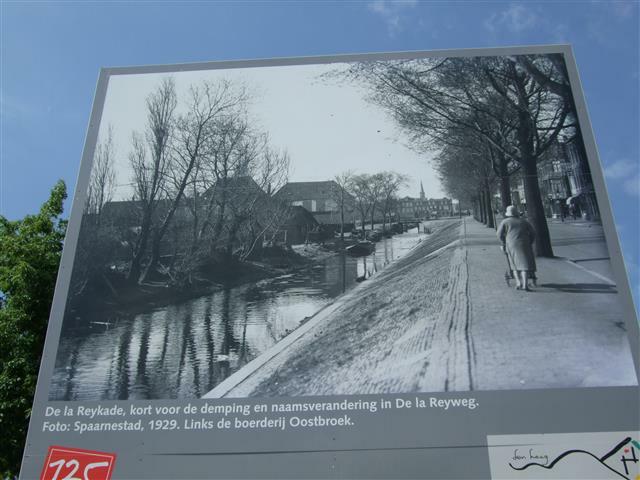 The billboards were part of the celebration of the one hundred years anniversary of the Gemeente archive department and each was situated as close as possible to the location where the original photograph had been taken. Of course in general, the amount of change depended on the location and the age of the original photograph, but this one illustrates a change that came about because of the pressure of the ever expanding growth of the city: the need for more space. 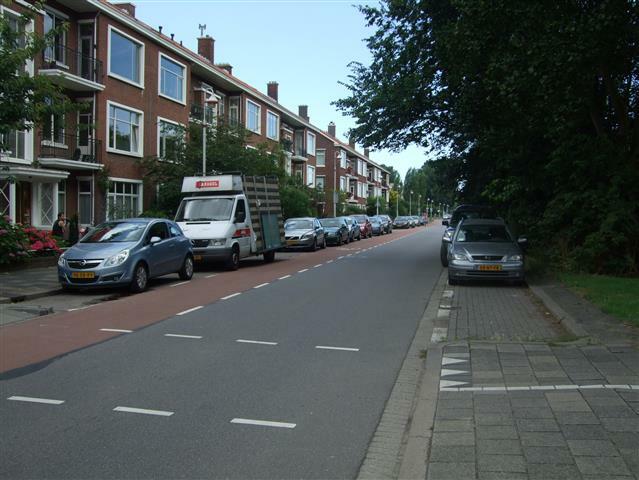 The location is the “de la Reykade” and if you look for it today you won’t find it… well at least you won’t find it under that name because it’s no longer a “kade”, (“quay”) instead it’s become the “de la Reyweg”. That’s right, water has become road. The farm has disappeared with the canal, swallowed up by the growth of the city. 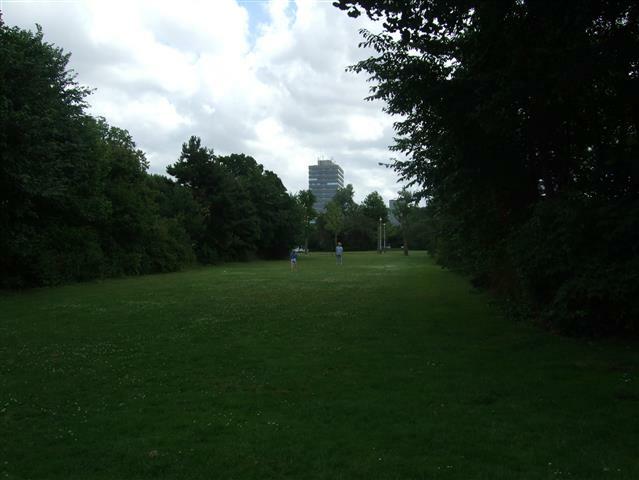 I took photographs all around me to show what the view of the area is today. 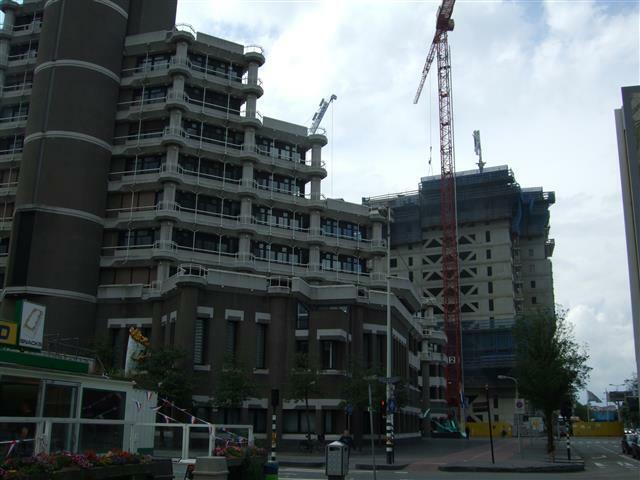 Even now renewal is taking place, slowly but surely the city continues to grow and evolve. 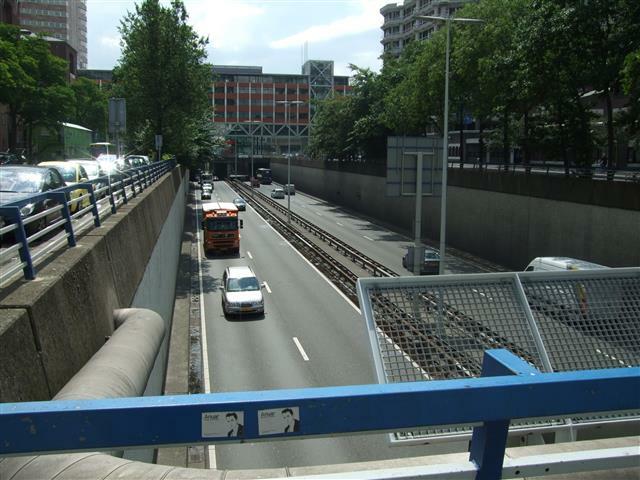 When Gemeente Den Haag (The Hague City Council) put some large photographic billboards around the city some years ago and Himself and I took photographs of them, I never envisaged that they would become a regular part of my blog. Naturally since there were more than eighty of these billboards, and it probably wouldn’t be as interesting for my readers to post them all in a gigantic lump, I have been spacing them out over the years and guess what? 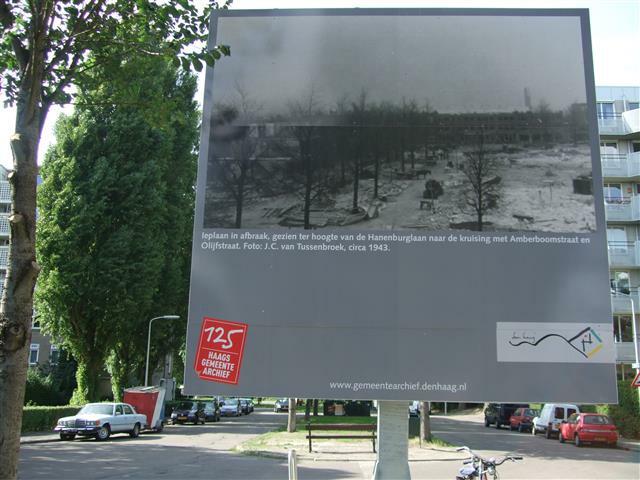 The billboards were places around the Hague as part of the celebration of the one hundred years anniversary of the Gemeente archive department and each was as close as possible to the location where the original photograph was taken. 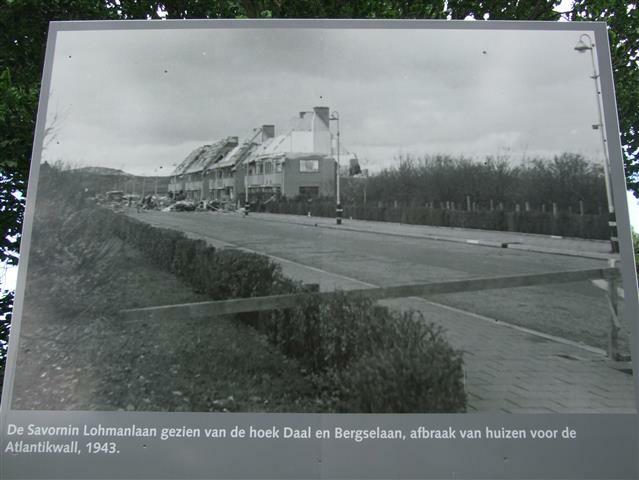 The caption reads “De Savornin Lohmanlaan gezien van de hoek Daal en Bergselaan, afbraak van huizen voor de Atlantikwall, 1943”. 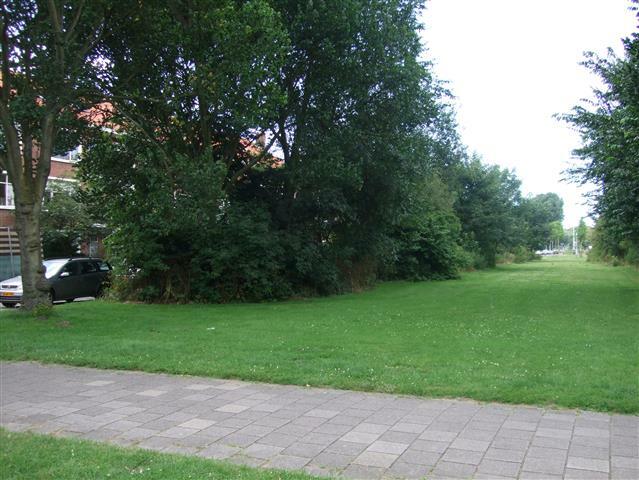 This is where houses or buildings of any sort close to the beach were demolished so that bunker defences and open spaces could supposedly be a solid defence against German invasion. …and of course history shows us how defenceless it all turned out to be in the end because the invasions of the countries down the wall came from the east in the end and not the west. Naturally because the archive photograph on the billboard details demolition, it’s logical that everything will have changed in the years since the original photograph was taken. 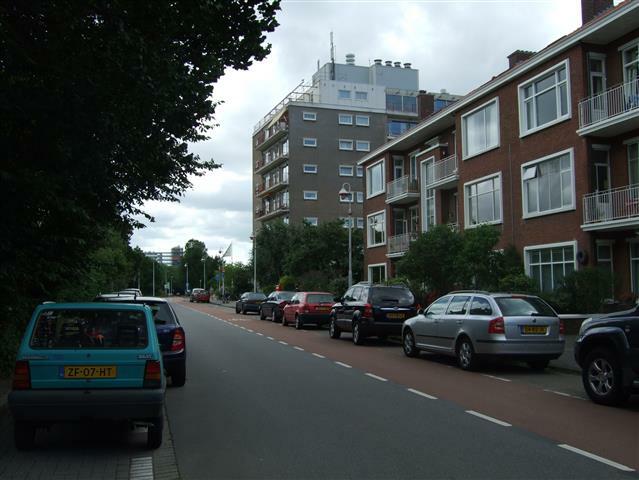 Now there is not just a suburb rebuilt in this area, but also several additional suburbs behind this area because the city of the Hague has grown significantly since 1943. 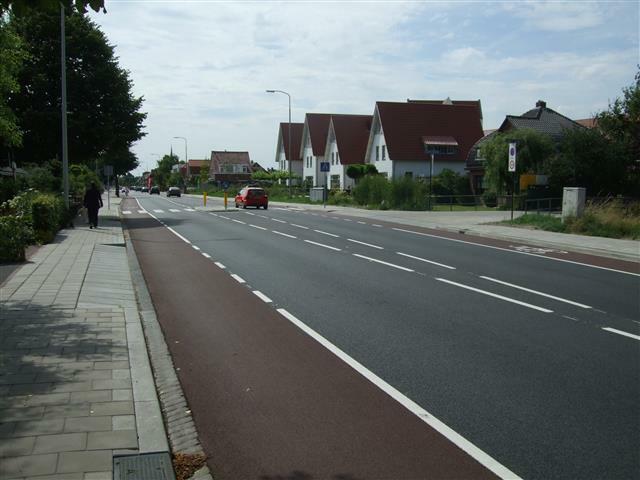 At this location now, is residential street outside which is a wide strip of grass flanked by trees which separates the two sides of the single lane road and their respective cycle paths. I’m sure it’s popular with kids as an area to play run around, play football, Frisbee and the like, and indeed one of my photos captured a father and daughter perfecting their volleyball techniques.